Ultra simple and ultra tasty… an everyday delicious apple crisp with only six ingredients you already have at home. The easiest path to a great treat. Originally Published October 25, 2014, this recipe just got lost in the mix. It is a great simple recipe. I so love simple recipes. I have re-edited the photos and added some apple information for you, so please give this try. So I needed an apple recipe, and I needed a dessert recipe. Plus it is apple season. My first spot, as usual, was Cooks Illustrated. 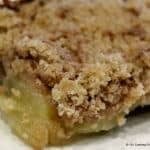 I find Quick Dutch Apple Crisp. I liked the name… the quick did it for me. But the 13 ingredients many of which I didn’t have did not do it for me. Some looking around and I had just what I wanted with Allrecipes.com Apple Crisp – Perfect and Easy only six ingredients and great ratings. A five. Now we don’t do desserts very often, but we will do this often. I have to start keeping ice cream in the house. Use the apples you have. Adjust the sugar for the sweetness of the apples. There is more topping than some may wish ( I liked it) so a bigger dish and more apples with the same amount of topping would do nicely. Cobblers, crumbles, and crisps What is the difference? Cobblers are easy; they have a biscuit or cake-like topping. Crumbles and crisps are frequently used interchangeably. But some feel that the differentiating factor is crisps have oats in the topping and crumble do not. This seems to be not widely accepted. I think the recipe name should tell you what you’re getting so in my world this is a crisp. But call it a crumble if you want. A lot seems to be made of what apple to use for this or that. I believe it is more a matter of individual taste. So probably the apples you have are fine other than Red Delicious or Macintosh. Here is a handy-dandy chart that is very well done. I think an apple that is firmer and tarter is the best choice here. So if you are buying apples just for this recipe, then some good choices are Cortland, Granny Smith, and Ida Red. Peel and slice 2 1/2 to 3 cups of apples. That will be two larger apples or three smaller. Avoid Red Delicious and Macintosh apples. Prep an 8-inch square baking dish with a butter coat. 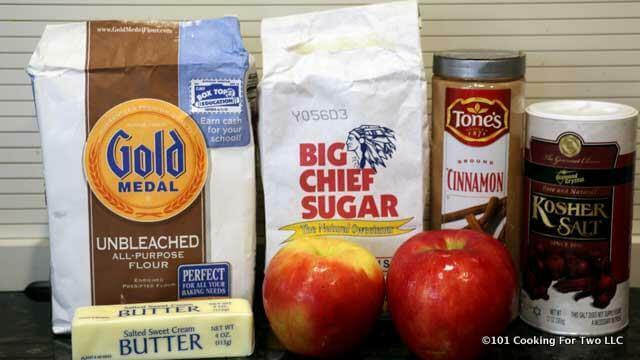 Combine one cup flour with 3/4 to 1 cup sugar. Vary the sugar by the sweetness of the apples. Mine were sweeter, so they got 3/4 cup. Add 1/2 teaspoon cinnamon and 1/4 teaspoon salt. Mix well. Dice up one stick of butter. (that is 1/2 cup or 8 tablespoons). Cut butter into dry ingredients. Spread the sliced apples in the dish. Spread topping over apples. 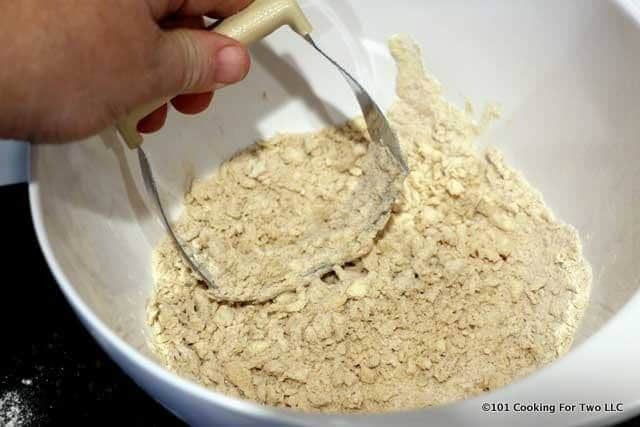 Combine 1 cup flour with 3/4 to 1 cup sugar. Vary the sugar by the sweetness of the apples. Mine were sweeter, so they got 3/4 cup. Add 1/2 teaspoon cinnamon and 1/4 teaspoon salt. Mix well. Dice up one stick of butter. (that is 1/2 cup or 8 tablespoons). 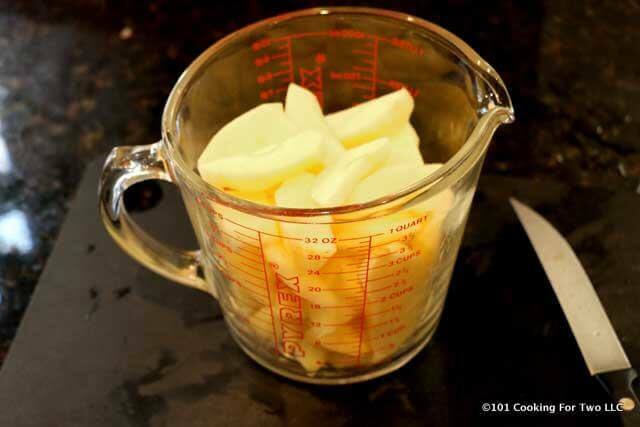 Cut butter into dry ingredients. I believe it is more a matter of individual taste. Probably the apples you have are fine other than Red Delicious or Macintosh. 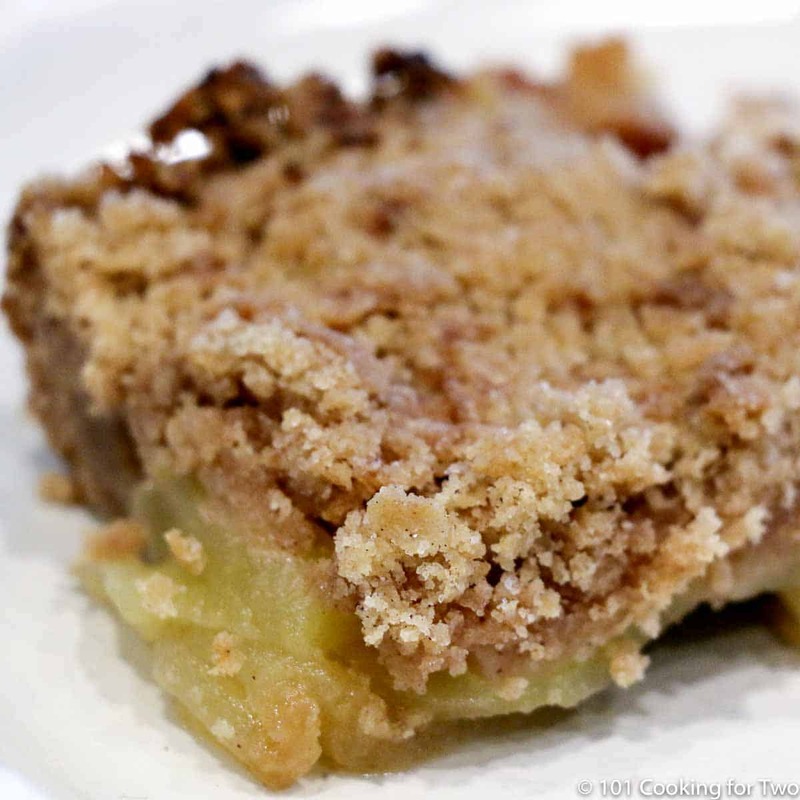 This is the best apple crisp I have ever had, and it is so easy to make! It is a great fall treat. I used three large ambrosia apples that were so crisp and tart I almost wanted to eat them plain. I gave them a squeeze of lemon in the pan. I used brown sugar and added nutmeg and a packet of quakers instant apples and cinnamon oats. I have about 8 mins left and I think I may pull it out a wee bit early for the sake of the apples remaining crisp to my liking. My house smells like fall and I can’t wait to serve this with a scoop of vanilla ice cream! Thank you for a sweet baking afternoon! I was doing an apple recipe yesterday and ate one of the apples but it was the extra backup one. Thanks for the recipe. This turns out almost perfect! (I cut it down to a smaller dish and by the time the crumble was browned the apples got a little too soft. I’ll definitely shorten the baking time next round, but otherwise this is perfect! Hopefully it works better for you next time. Just made this using Organic Coconut Flour. 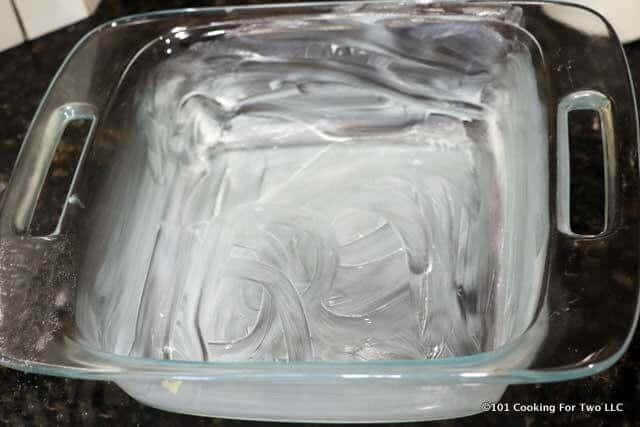 I also use Coconut Oil to spread over the dish instead of Butter. Tastes so delicious! 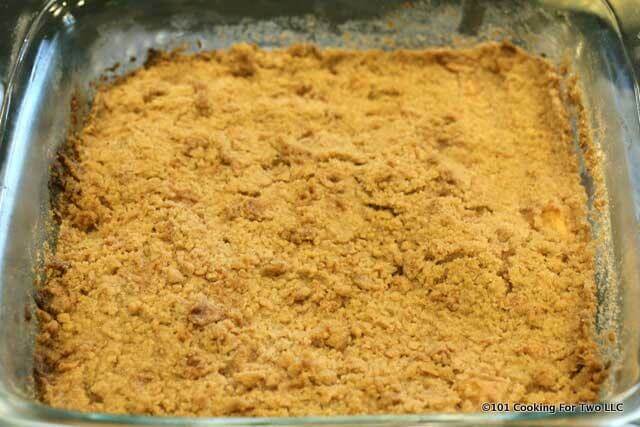 I’ll be making this again with a few adjustment on Soft Brown Sugar, using only 1/2 cup instead of 1 Cup. Thanks for sharing this recipe, I used Red Gala Apples, they came out great!!! 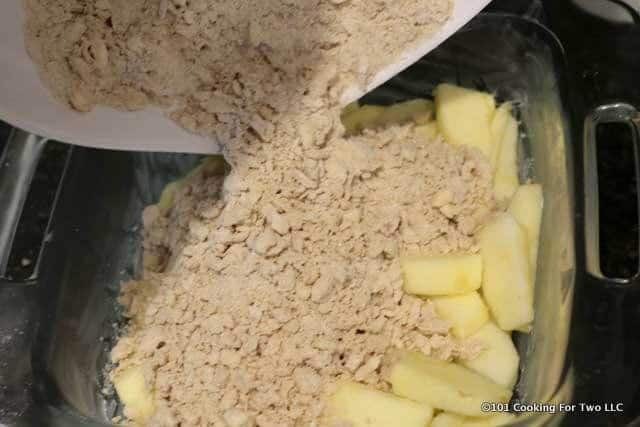 This is how we always make Apple Crumble, UK method, Crumble has no oats, crisp does, never had that til I moved to Canada. Best apples in Canada are honey crisp (pricey), grannies, and Braeburn. I’m going to make your green bean casserole for a potluck tomorrow. The difference between a crumble and crisp seems to vary a lot by geography. In Iowa, all of it was a crisp if I remember correctly. You will love the green bean casserole. Thanks for the note and happy holidays. Hello DrDan..! am also reads your posts but this is one of my favorite recipe. 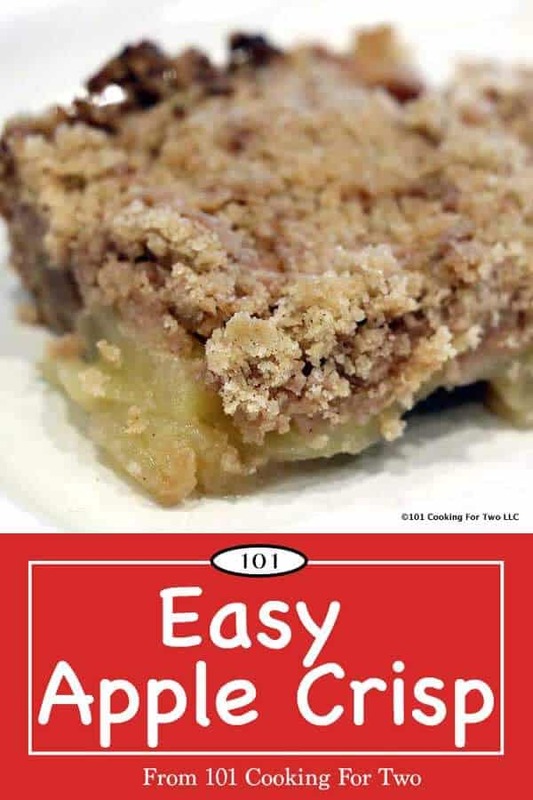 and your apple crisp looks so yummy and delicious, i can’t wait make this recipe. Thanks for sharing….! I like simple food the best. 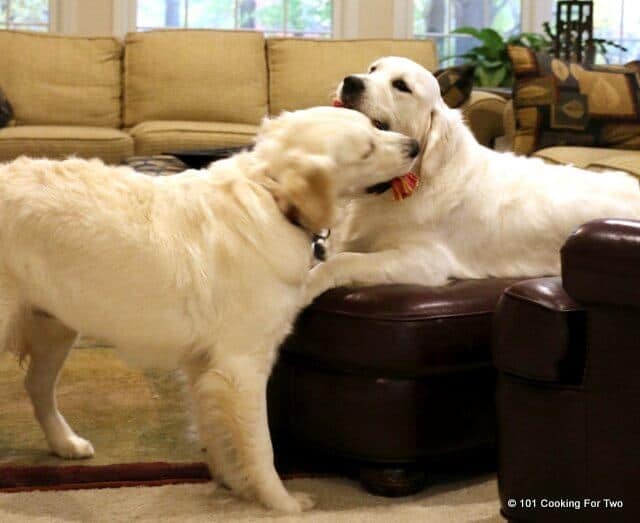 It is fun to play in the kitchen. I call it organic chemistry lab without the explosions. Hi there, I love apple crumble, its one of my old favourites, so I was excited to try this quick n easy recipe for a family lunch. I doubled the recipe and it was just lovely. I served it with whipped fresh cream. This is close to the recipe I got from my mom years ago except I think it uses part white sugar, part brown. Its so good. To make it even better, I would suggest skipping the ice cream and making a basic vanilla sauce to go over the top. Sooo good. I am laughing to myself here. I made apple crisp tonight and dh brought me in a dish as I was on the puter. I made it like you did except I used 1/2 cup flour and 1/2 cup of oatmeal. It is really good also. This looks delicious! I will be making it this week now that Honeycrisp apples have shown up in my local supermarket. They really are a great tasting apple for pies and crisps like your recipe. Their flavor is my favorite. I had a cooking teacher once tell us that the Honeycrisp was the favorite of pastry/pie chefs because it was the perfect balance of sweet/tart/wine flavor. I think she was right although I do use them for applesauce, too! I did use honey crisp. I got them at the farmers market last week (really fresh in Michigan) and had a full basket. I needed something to do with the apples without going shopping again. For something else to do with the apples, have you ever tried making an applesauce that combines both apples and ripe pears? Its really good and freezes well. Also, if you have a large selection of Spanish foods at your grocery, there is a product called raw sugar cane (Goya Panela brown sugar cane Piloncillo) that is awesome to use with cooked fruits. It is a solid block that has to be chopped or grated and the flavor is a strong brown sugar taste. Amazon has it but they charge a fortune for shipping. Good luck! This looks delicious delicious and I think I’ll make it tonight. Thanks for the note. I’m sure you will love it.